The grass snake is rare in Jersey, and has a restricted distribution particularly within the west and south-west of the island. 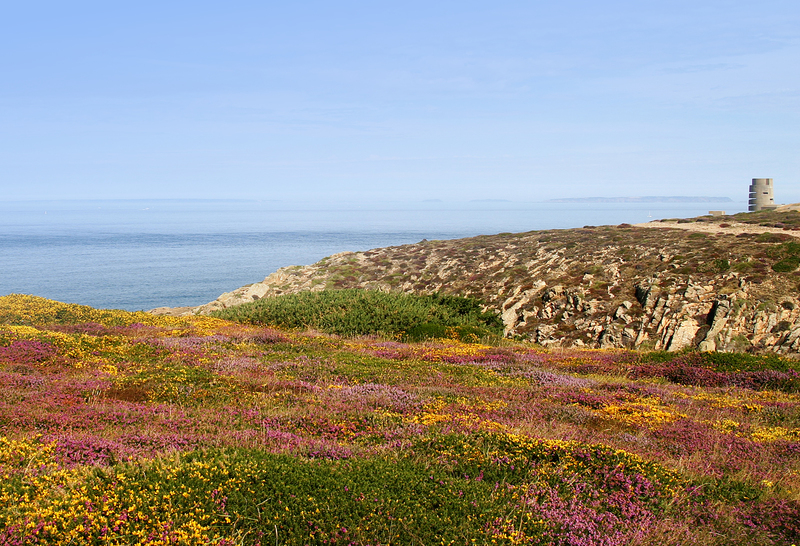 This project aims to determine the status of Jersey’s populations, identify causes of decline, and provide information for conservation action and species recovery. 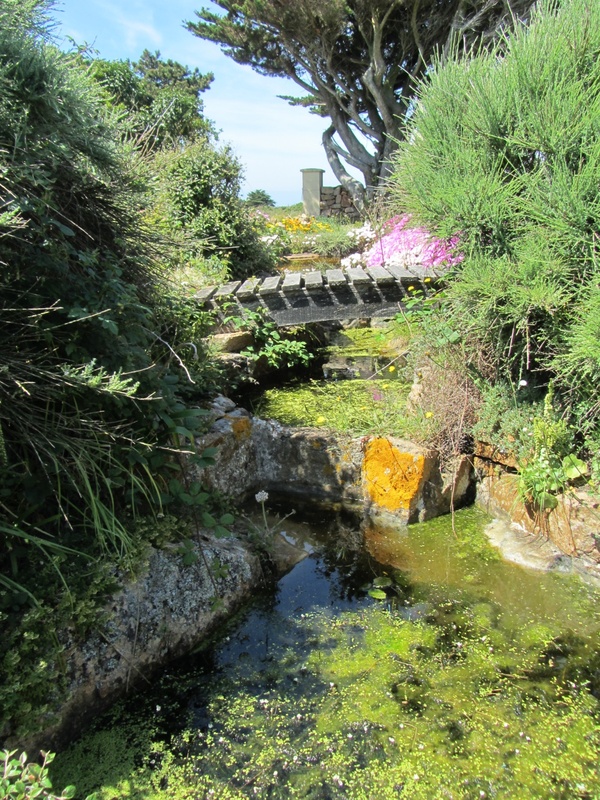 Engage and educate the public in grass snake conservation in Jersey. The grass snake (Natrix natrix) is a harmless non-venomous snake, and is the only snake species native to Jersey. 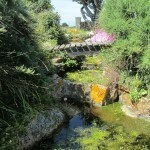 Although relatively common in mainland Britain and Europe, in Jersey it is rare, and seemingly declining. 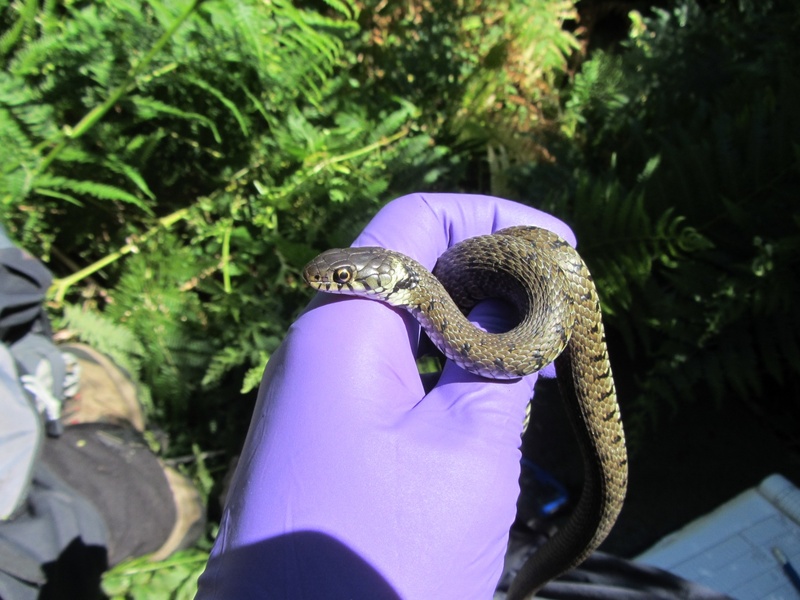 Little research has previously been conducted on Jersey’s grass snake population, and so our knowledge of its ecology, conservation status, and relationships with other Island species is relatively lacking. Historic information regarding the distribution of this species is found in Frances Le Sueur’s A Natural History of Jersey (1976), which suggested that grass snakes were most numerous in the north-west and south-west of the Island, but also stated that they occurred throughout the Island in low numbers. More recent studies confirm grass snakes to have a stronghold in the west and south-west of the Island, with a further population in the south-east. However, no grass snakes have been seen in the north-west (Les Landes) since a juvenile at Grosnez pond in 1992. With such a lack of information, it is clear that much work still remains before a true picture of the grass snake’s ecology and population size in Jersey can be determined. 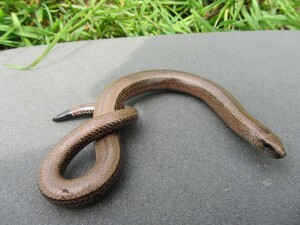 Since March of this year, surveys have been taking place at multiple sites, particularly in the west and south-west of the island, in order to collect data on the Island’s slow-worm and grass snake populations. These surveys involve checking artificial materials that have been laid out to attract reptiles through the warmth and shelter they provide. During the surveys, a number of environmental variables are recorded, as well as morphological data on each of the grass snakes and slow-worms found. These sightings are then plotted on a map, which can be used to study habitat use of the species. 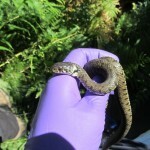 In addition to the surveys conducted by Rob and his volunteers, a publicity campaign, “Think Grass Snake” was launched on the 22nd June 2014 to encourage the public to send in their sightings of grass snakes and slow-worms. A dedicated ‘Spotline‘ is in place to receive phone calls on 441628, as well as a website at www.ThinkGrassSnake.Je, and presence on social media. The campaign also aims to educate the public about the two species, and raise awareness of their decline. Understanding the movements and habitat preferences of a species is an important factor for their conservation to ensure the right areas are protected and managed correctly. Grass snakes are known to move large distances, and so it is particularly important to know which habitat types they use during different times of the year and at different life stages, as well as the location of key habitat features such as feeding ponds, nesting sites, and hibernation sites. During this project, each captured snake and slow-worm has a number of pictures taken of its individual patterns. For grass snakes, this is the belly pattern, and so it is possible to tell when an individual is recaptured, and thus how far it has moved between captures. 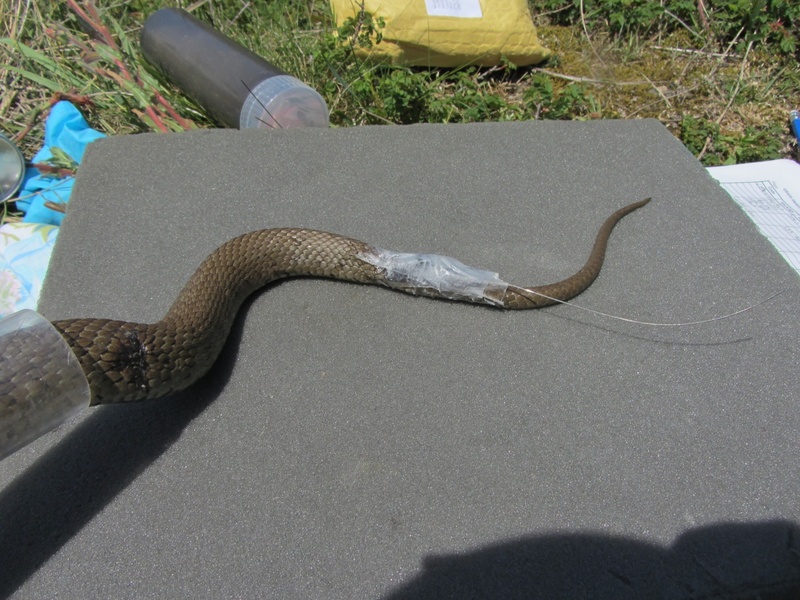 Another way of studying the movement of grass snakes is to use radiotracking. Adult snakes are fitted with a small radio tag on their tail, and located two to three times per day until the tag falls off (normally when they shed their skin). This gives much more detailed information on the size of the areas they need to live in, the habitats they prefer, and their behaviour. 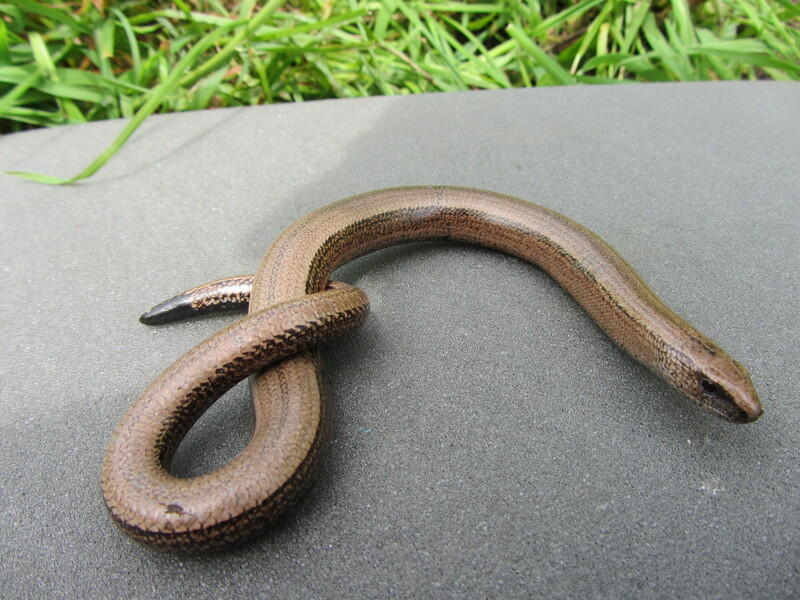 Grass snakes primarily feed on amphibians and fish; however, in Jersey many of the amphibian species have undergone declines, especially the Agile frog. These declines in prey could be one of the reasons that the grass snake has declined, and so it is important to understand what the remaining grass snakes in Jersey are eating. 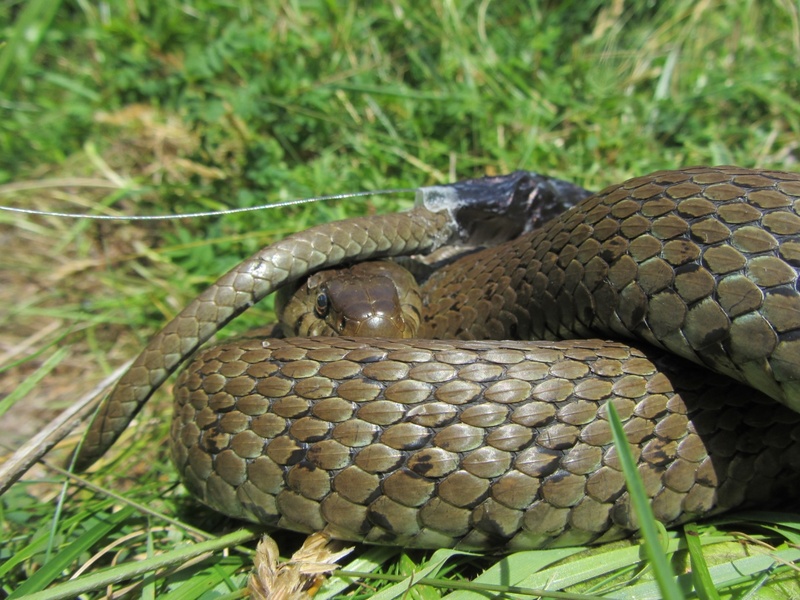 The project utilises two main methods of studying the diet of Jersey’s grass snakes. The first of which is to encourage captured snakes to regurgitate any recent meals. When this is successful, it gives an immediate insight in to the diet of the captured snake, and the prey item(s) can then be manipulated back in to the digestive tract of the snake so that the prey item is not lost. 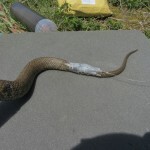 The second method involves collection of faecal samples from captured snakes, from which DNA will be extracted to identify the species consumed. When populations become isolated for long periods of time, and especially when a population is of a small size, the genetic quality of the population can begin to deteriorate. In Jersey, grass snakes are at risk for both these reasons, and could be suffering from the founder effect, poor gene flow, and resulting inbreeding due to fragmentation. 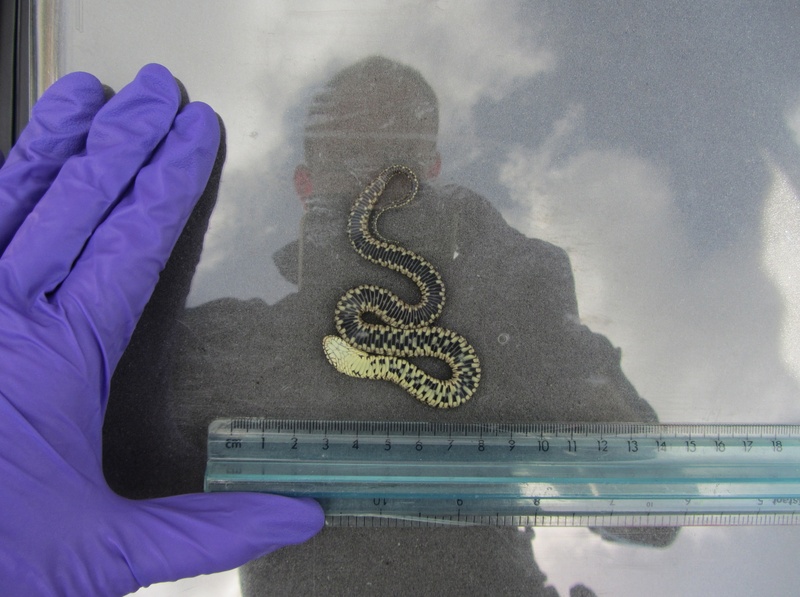 To determine if these problems are occurring, DNA samples are collected from captured grass snakes, shed skins, and dead individuals. These can then be used to investigate how individuals are related to one another, and give an insight in to any requirements for human intervention. Furthermore, the DNA can be compared to samples from grass snake populations elsewhere in Europe to see which are most closely related to those here in Jersey. This information is useful should there be a need for reintroduction, genetic restoration, or captive breeding of snakes to ensure the population’s survival. A possible cause of snake decline is the loss of particular habitat features including feeding ponds, compost and manure heaps for egg-laying, and hibernation sites. 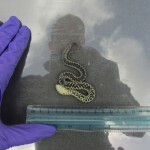 Fragmentation may also be a factor as snakes are at risk whilst crossing boundaries such as roads, as well as having to travel further and using more energy when man-made obstacles may be in their way. 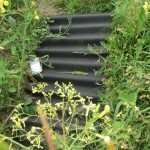 We can, therefore, improve habitats for grass snakes by providing some of these features. Compost heaps in particular are of low cost, are easy to construct and maintain, and can be built in private gardens and allotments as well as public areas and reserves. 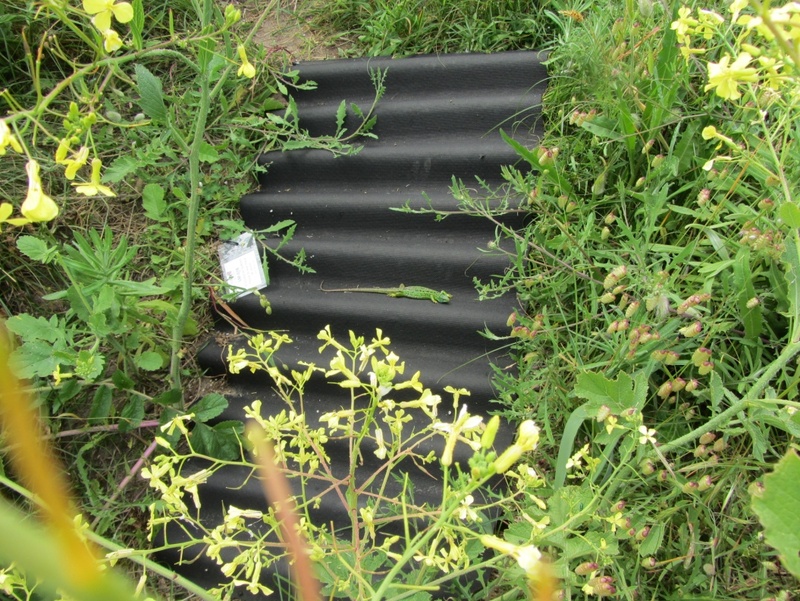 In areas with large quantities of grass clippings such as on golf courses, the materials can be piled up to provide suitable nesting habitats for grass snakes as well as a home for a variety of other wildlife. 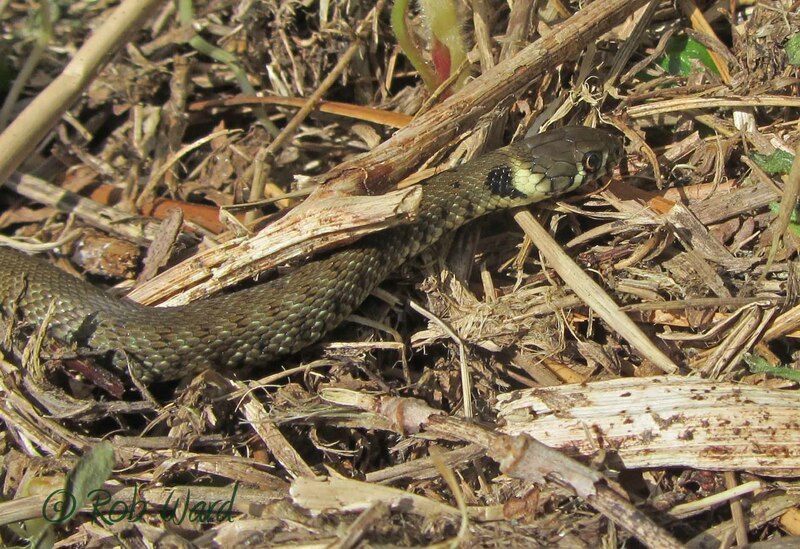 As grass snakes nest around June, and eggs do not normally hatch until the September or occasionally even October, not disturbing potential nesting sites during these periods is important.